Mohammad may have felt aggrieved by his treatment from a study group. But that does not eliminate the subtle influence "radical Islam" had in this case. The choice of weapon and the methodology closely resembles what ISIS tells people to do. It was just two months ago that ISIS issued a call for believers to commit random attacks against individuals living in countries whose governments, like the United States, they considered apostate. Jihadists were urged to utilize any type of weapon at hand, knives, rocks, or even automobiles. According to ISIS the target could be anybody: "Kill the disbeliever whether he is civilian or military, for they have the same ruling. Both of them are disbelievers. Both of them are considered to be waging war. Both of their blood and wealth is legal for you to destroy." Justification to vent your rage. ISIS is not looking for a few good men; one crazy will do. 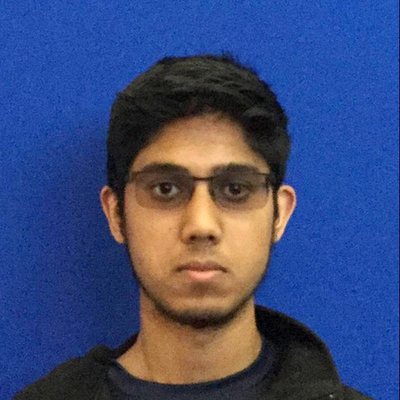 The UC Merced incident is very similar to the case of Alton Nolen, a former inmate who converted to Islam in prison is accused of beheading a former co-worker at a food plant in Oklahoma City in 2014. Nolen was suspended by his employer, Vaughn Foods, over an incident with a female co-worker who reported him for making a racial comment about not liking white people. He was also suspended because of his incessant attempts to proselytize co-workers to his version of Islam and making reference to Sharia law. He was angry over a perceived wrong done to him by his employer. He had also spent numerous hours watching videos and visiting websites sponsored by radical Islamic groups like ISIS prior to the attack. His firing from Vaughn Foods was simply the catalyst that seemingly tripped the trigger in his mind to move from jihadi thoughts to violent action: One small switch, one perceived slight and he was gone — doing what he saw ISIS members do, beheading innocents. Again the influence of "radical Islamism" in this case in incontrovertible. The classification of violent acts as Islamic terrorism or terror related is often intentionally delayed. Remember Nidal Hasan and the Fort Hood shootings? Officials tried to define that as "work place violence." Or when Rashid Baz opened fire on a van load of Hasidic students on the Brooklyn Bridge in 1994, killing 16 year old Ari Halberstam. That was originally labeled "Road Rage." We seem to be afraid to mention the words Islamic terrorism or acknowledge the influence of radical Islamism when acts like Faisal Mohammad's are carried out. Why are we afraid of offending a specific group? When "Big Paul" Castellano got whacked outside of Spark's restaurant in Manhattan in 1985 by John Gotti's crew, no one hesitated to call it a Mafia hit or say, 'well, maybe it was just a random drive by shooting.' No we did not. In the last 10 years, the Department of Justice has systematically removed the words "radical Islam" from any documents defining radicalization or extremism. The result has been an erosion of confidence by the American people in how effective (or honest) our government has been in the fight against terrorism and has emboldened radical Islamic groups like ISIS, al-Qaida, Hamas, etc. And now in response to the horrific attacks on innocent civilians in Paris, French President Hollande has declared war on ISIS. France is no longer afraid to call it what it is. The United States, as a member of NATO, has both a moral and a legal responsibility to act in support of our French allies. Any refusal by the current administration to clearly identify the enemy, as Hollande has, will embolden the enemy and weaken the post-World War II alliance. If the treaty members cannot agree on who the enemy is, they cannot effectively fight against it. Jihadists groups will view NATO as nothing more than a paper tiger and a further decline of Western democracies, and that will be an incentive for ISIS commit more deadly attacks both in Europe and the United States.